Experts focused on finding ways to curb the number of overdoses in the U.S. say there's one very important person missing from President Donald Trump's commission—any representative from the federal agency regulating prescription drugs. “There's quite a bit the Food and Drug Administration could be doing and hasn't done,” said Dr. Andrew Kolodny, co-director of opioid policy research at Brandeis University, referring to stricter federal regulation of prescription painkillers, which physicians have often used to treat common chronic conditions such as back pain and fibromyalgia. Trump on Wednesday introduced a high-profile group that is tasked with reporting on ideas and progress toward curbing the nation's opioid epidemic. It includes New Jersey Gov. Chris Christie—who has led several statewide efforts to address heroin addiction—U.S. Attorney General Jeff Sessions, Defense Secretary James Mattis and HHS Secretary Tom Price. But Kolodny and other addiction experts say the FDA could help tighten regulations over drugmakers, ostensibly stemming the tide and intensity of products that the Centers for Disease Control and Prevention has identified as having heavily contributed to the overdose epidemic. After years of heavy criticism by patient advocacy groups, prescription painkillers now carry stronger warning labels and undergo a more stringent review. 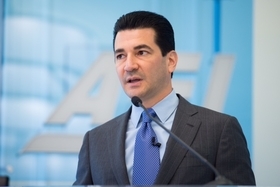 Kolodny says those are good first steps, but he wonders whether Trump's nominee to head the FDA, Dr. Scott Gottlieb, can make greater inroads given his deep ties to the pharmaceutical industry. Gottlieb serves on the boards of three drug companies and his venture capital firm funds 150 others. If he's confirmed, Gottlieb must step down from those boards and sell any shares in those companies. He has said he will recuse himself from any decisions that might result in a conflict of interest, but Kolodny isn't so sure Gottlieb is the right person to lead the agency's anti-opioid abuse efforts. “I'm worried that we'll continue to see FDA policies that are 20 years old that really allow opioid makers to continue to pour fuel on a fire,” he said. The FDA long has been accused of expediting the approval of highly addictive opioid-based pain killers. One of the most notable examples occurred in 2013, after the FDA approved the drug Zohydro, the first extended-release pure form of hydrocodone. It was approved without tamper-resistant protections, so it could be easily crushed to maximize potency. In approving the drug, the FDA ignored the recommendations of its own advisory panel, which voted 11-2 to reject it. At the time, public health officials called for then-FDA Commissioner Dr. Margaret Hamburg to step down. She argued the painkiller would help patients with chronic pain not related to cancer—the same argument public health experts say led physicians to overprescribe the drugs. Scrutiny continued even after Hamburg left the FDA post in 2015. Her successor, Dr. Robert Califf, a former medical researcher, was also accused of going easy on drugmakers because of his past work with them. In response to the criticism, Califf announced just prior to his confirmation that the FDA would re-evaluate its approach in reviewing opioid pain relievers. He pledged the agency would add new warning labels to the most commonly prescribed opioids and require new opioid drugs to go before an outside panel of independent reviewers. But a number of senators, saying the moves were too little, too late, placed a hold on Califf's nomination. “The FDA is part of the opioid problem when America is depending on it to be part of the solution,” said Sen. Edward Markey (D-Mass.) at a February 2016 press conference. The absence of Gottlieb or another FDA official for that matter, from Trump's commission does not mean that the agency's role and success in the battle against overdoses will not be assessed. The commission is to report over the next 90 days “interim recommendations” on how the federal government can address addiction and how to properly fund treatment and prevention efforts and identify underserved areas. A final report is due in October. Christie, who chairs the commission, last month signed one of the country's toughest drug laws, which prevents patients from getting more than a five-day supply of prescription opioids. Providers also must warn patients about the addictive nature of opioids prior to writing a prescription. “I think it's a great idea that these are a group of leaders that have the authority to act,” said Anne Woodbury, executive director of Advocates for Opioid Recovery, about the commission, adding that the president is making promises to quickly deliver results and is putting a lot of his political capital and reputation behind the effort. Others say the commission is a step back from the more forceful and action-driven language Trump used during the campaign. “It's time for us to go beyond the rhetoric,” said Dr. Leana Wen, health commissioner for the city of Baltimore. She says the severity of the epidemic calls for proven, evidence-based strategies and money to fund those solutions. This week's poll: Has your healthcare organization responded to the nation's opioid epidemic? 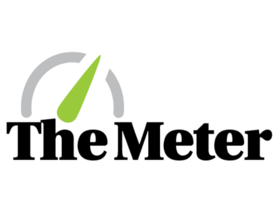 Share your opinion in the latest edition of our bi-weekly reader poll.